Despite vocal criticism, the EU Parliament has approved a non-binding resolution on the controversial Transatlantic Trade and Investment Partnership, bridging a gap in protracted negotiations on the secretive trade pact between the EU and the US. The resolution was approved by the majority of the parliament with 436 ‘Yes’ votes coming up against 241 ‘No’ votes in Strasbourg on Wednesday in hopes of influencing the TTIP negotiations between European Commissioner for Trade Cecilia Malmstrom and the USA. Washington insists that for negotiations to be successful a dispute body must be incorporated into the final agreement. Barack Obama is pursuing increased trade links with the EU and with Australasian countries. But why are these treaties being pushed through in haste and secrecy? According to its proponents, the Trans-Atlantic Trade and Investment Partnership will stimulate growth in Europe and in the US. Indeed projections endorsed by the European Commission point to positive, although negligible, gains in terms of GDP and personal incomes. But, In a paradox, these projections also show that any gains in Trans-Atlantic trade would happen at the expense of intra-EU trade reversing the process of European economic integration. * TTIP will lead to losses (0.95-2.07) in terms of net exports after a decade, compared to the baseline “no-TTIP” scenario. 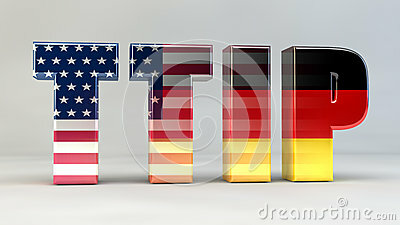 * TTIP will lead to net losses (0.30-0.50) in terms of GDP. * TTIP will lead to a loss (3400-5500 Euros) of labour income. 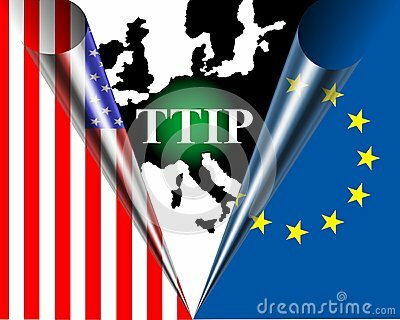 * TTIP will lead to job losses. Calculations are that approximately 600,000 jobs will be lost in the EU. * TTIP will lead to a reduction of labour share (the share of total income accruing to workers), reinforcing a trend that has contributed to the current stagnation. The flip-side of its projected decrease is an increase in the share of profits and rents, indicating that proportionally there would be a transfer of income from labour to capital. The largest transfers will take place in UK (7% of GDP transferred from labour to profit income). * TTIP will lead to a loss of government revenue. The surplus of indirect taxes (such as sales taxes or value-added taxes) over subsidies will decrease in all EU countries. * Government deficits will also increase as a percentage of GDP in every EU country, pushing public finances closer or beyond the Maastricht limits. 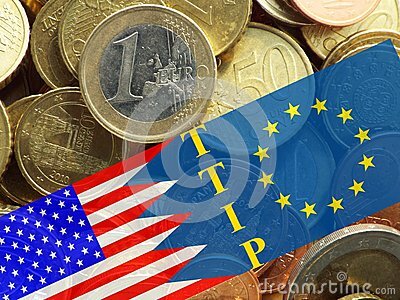 * TTIP will lead to higher financial instability and accumulation of imbalances. With export revenues, wage shares and government revenues decreasing, demand will have to be sustained by profits and investment. But with flagging consumption growth, profits cannot be expected to come from growing sales. A more realistic assumption is that profits and investment (mostly in financial assets) will be sustained by growing asset prices. The potential for macroeconomic instability of this growth strategy is well known after the recent financial crisis. Projections point to bleak prospects for EU policymakers. Faced with higher vulnerability to any crises coming from the US and unable to coordinate a fiscal expansion, they will be left with few options to stimulate the economy: favouring an increase of private lending, with the risk of fuelling financial imbalances, seeking competitive devaluations or a combination of the two. There are two general conclusions. (1). As widely reported in the media, newsprint, financial and economic literature, existing assessments of TTIP do not offer a suitable basis for important trade reforms. Indeed, when the (UNGPM) model is used, results change dramatically. (2). Seeking a higher trade volume is not a sustainable growth strategy for the EU. In the current context of austerity, high unemployment and low growth, further increasing the pressure on labour incomes will further harm economic activity. Model results suggest that any viable strategy to rekindle economic growth in Europe will have to build on a strong policy effort in support of labour incomes.